The Alderaban BFS XG is light, compact and fast with a shallow magnesium spool allowing the reel to cast lighter lures even further. An 8 weight VBS offering plenty of variations for casting weights. 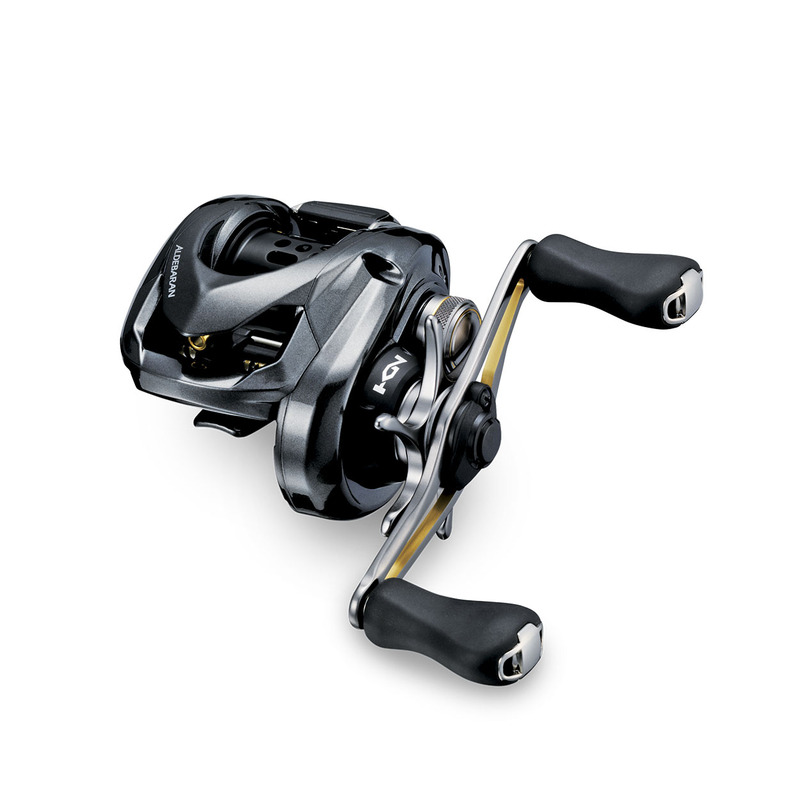 FTB is a new brake system which is developed especially for finesse baitcasting. The brake unit is usually located at the spool, but with the FTB system the braking unit is outside the spool. This made it possible to develop the lightest Shimano spool ever. In the braking unit there are 8 magnets (each of them is removable to create less braking), which are the brakes of the spool. By turning the knob on the outside of the reel body, these magnets are moved deeper or shallower into the spool. Deeper means more braking power, shallower means less braking power. This magnet moving mechanism also adjusts itself to the rotational speed of the spool, during the cast. At the beginning of the cast (the spool is turning fast at this stage) the magnets are closer to the spool to create more brake. At the end of the cast, the magnets will have more distance from the spool; this creates less braking power which is required to reach a good distance. This system creates the right amount of braking power during every stage of the cast. Exciting Drag Sound is a technology which enables to have a drag sound on a baitcasting reel, without using a rattle / clicker function. It works just the same as the sound of a spinning reel when line is pulled from the drag: a 'click-click-click' or a 'swoosh' sound is heard. This is a nice feature for a lot of anglers, who like to fish with a baitcasting reel but who are missing the sound of the drag when fighting a fish.